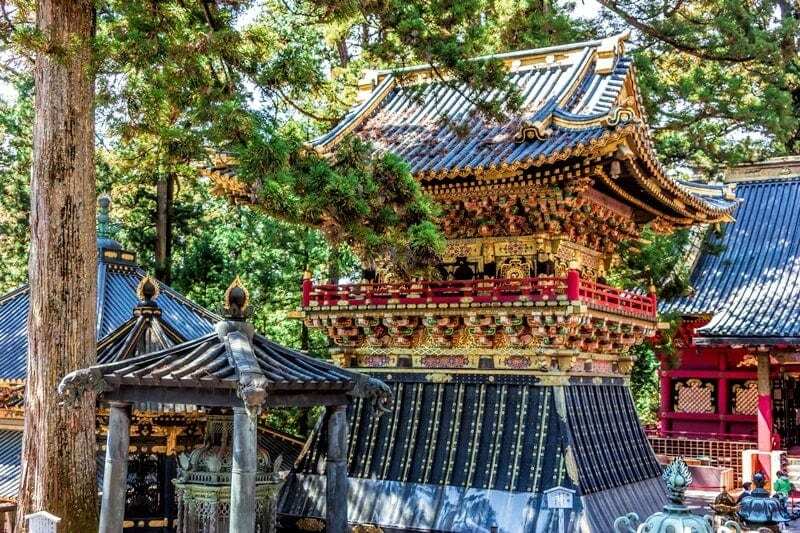 A great way to discover more of Japans history, culture, landmarks and natural highlights is by taking off on some of these top day trips from Tokyo. The city is a great base for exploring being a transportation hub and with so many fun destinations nearby. Tokyo is a city full of energy, vibrancy and contrasts. It can also be exhausting for many visitors if they aren’t used to life in a big city. We manage the sensory overload by jumping on a train every few days in search of the best day trips from Tokyo. In just a couple of hours, you can experience somewhere completely different. 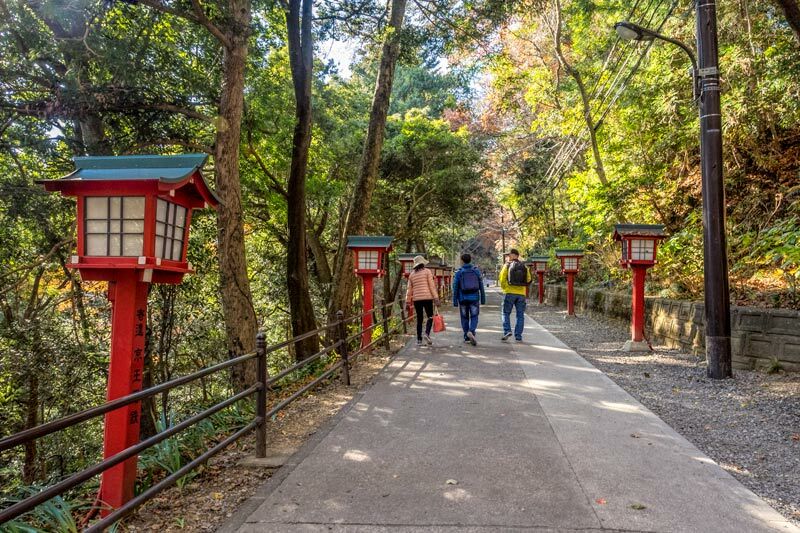 Not only do these easy day trips from Tokyo allow us to experience an exciting new place but we return to the city refreshed and re-energized ready to deal with the crowds and intensity again. Japan enjoys a fabulous public transport system and as a tourist in the country, you have access to using it at a price that represents even better value than the locals enjoy through the Japan Rail Pass scheme. If you’re just starting out planning your trip you may find these articles not only make things a bit clearer but can help ensure you get the best value for your travel dollars. So let’s take a look at some of the options to add to a Tokyo itinerary. These are our current top 12 but watch out for new additions, each time we head back to Japan we visit new places and revisit old favourites meaning our recommendations evolved over the years. For each one we’ll look at why it might add something special to your Japan experience, how to get there, how much travelling is involved and why it’s one of our top choices. If you have any questions or your own suggestions, please let us know in the comment section at the end we love to hear about your travel plans too. Hakone in Kanagawa prefecture is a fun day trip from Tokyo and very easy to do. It’s an onsen town, perfect if you want to soak in its healing hot springs, you’ll have unbeatable views of Mt Fiji from the lake and many other areas and Owakudani, the geo-thermal is something quite different to see. It’s also a great place to visit seasonally for cherry blossom, autumn foliage or a pristine snowy white backdrop in winter. 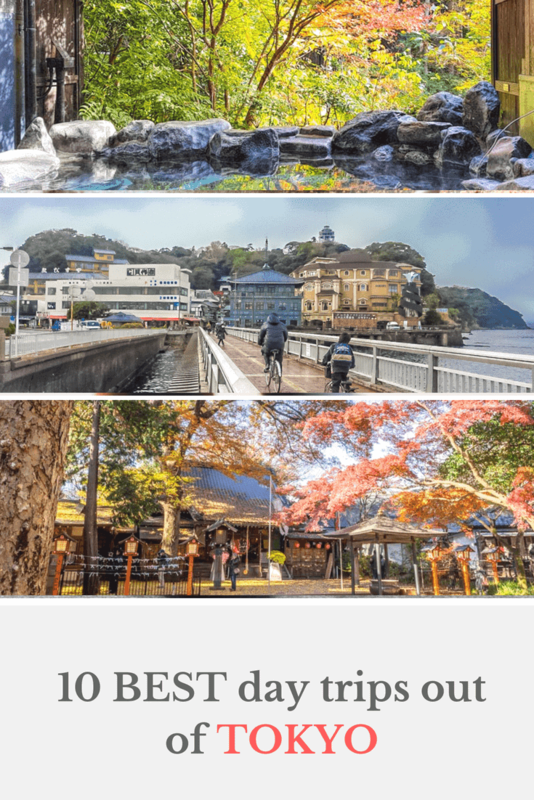 The starting point in the Hakone area is Odawara station, here you can pick up the Hakone Freepass that we discuss in this article or you can do the same circuit on individual tickets if you prefer. Read more in our article on a Tokyo side trip to Hakone or find out more about how to enjoy a Hakone Onsen without necessarily staying overnight in the area. If you’re looking for a tour option that visits some of the best spots in both Mt Fuji and Hakone this is a popular choice. Also in Kanagawa prefecture is the historic beach town of Kamakura known for the giant buddha, an historic shrine, famous zen temples and gardens and if you are looking for something a little more energetic with some time off the main tourist train there is the Daibutsu (Buddha) walking trail running from northern Kamakura to the temple of the Great Buddha in the south through temples, parks and quiet walking paths. Kamakura is home to Hasedera temple, one that we both really enjoy for many reasons but especially the historic Benten-Kutsu cave. You can see down to the beach from the upper parts of the temple grounds and it’s an easy walking distance from the Great Buddha. 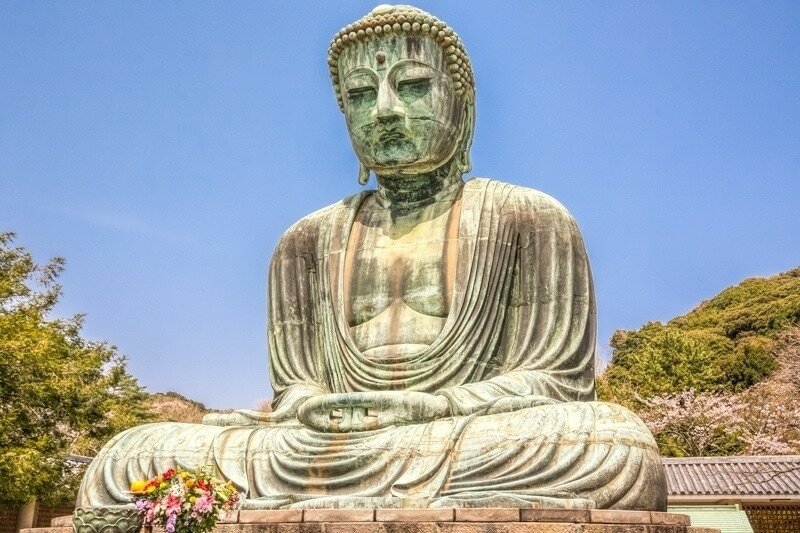 Kamakura is an easy trip from Tokyo by train, it takes just under an hour on a standard local train and costs Y920, there are limited express options available but they will only save around 10 minutes and double the cost. Enoshima is a small island only about 4 km in circumference off the Shōnan Coast not far from Kamakura and the two can be combined into a single day trip if you’re a fast-paced traveller, we’re not and easily spend a full day on and around the island. You can take the train from Tokyo down to Kamakura then a short trip on the Enoden line across to Enoshima but our preference is to take the JR line to Ofuna then switch across to the hanging monorail through to Enoshima, for me it’s one of the best parts of this trip, something very different than we’ve experienced anywhere else. Either option will take just over an hour from Tokyo. The island is joined to the mainland by the Enoshima Benten Bridge so you won’t need to wait for a ferry across. There are regular events on the island, when we were there in February there was an evening light-up, a popular date-night experience in Japan and a very early spring tulip display. Things to do on the island include riding the escalators up the hill, the shrines and gardens, the cliffs and rock platforms on the seaward side and the Iwaya caves. There is also a small shopping street that leads up to the big torii as you enter the island and to the right is the spa where you can soak in an onsen with distant views of Mt Fuji on a clear day. A longer side trip from Tokyo is to head to Nagano, there are a range of things to do here but in winter the chance to see the monkeys soaking in their onsen in the snowy landscape is something I can’t pass up. The macaque, a wild Japanese monkey referred to around here as the snow monkey is regularly seen in and around their purpose built onsen. These are wild monkeys, free to come and go in the surrounding forest. Decades ago the monkeys used to sit in small rock crevace where the hot springs bubble through but when they found the human onsen so much more comfortable and started arriving uninvited for their own ‘pool parties’ the locals built them their own within the park. It’s been a favoured spot for them ever since. The trip will take around 3 hours from Tokyo to the snow monkeys bus stop but there are range of ways of getting there which we cover in detail in the article linked below. If you prefer there are also organised day tours from Tokyo available. Yokohama is Japans second largest city and is very easy to visit from your base in Tokyo. It’s located in the adjacent Kanagawa Prefecture on Tokyo Bay to the south of Tokyo itself. It’s a major commercial centre and has a number of attractions and differences from Tokyo city that make it worth visiting. You can reach Yokohama by local train in 30 minutes. Popular attractions in Yokohama to visit are the Chinatown, it’s one of the top 3 in Japan, and the port area called Minato Mirai which is an interesting mix of entertainment, shopping and cultural attractions. For a birds eye view head on up to the 69th floor of the Landmark Building for a 360 degree perspective on the city and for a serene contrast the Sankaien Garden is a huge and beautiful classical garden founded in 1906 by a silk trader. Other popular attractions include Seaside Park, Osanbashi Pier, the Ramen Museum which is more an interactive noodle experience that recreates a piece of Yokohama from the 1950’s, take a stroll in Motomachi to feel like you’ve landed in Europe or make your way to the Kirin Beer factory tour complete with tastings. A Tokyo to Nikko day trip is an easy and fun trip. It can include some fascinating history and culture, beautiful nature and seasonal highlights, especially for autumn colour and snow in winter. 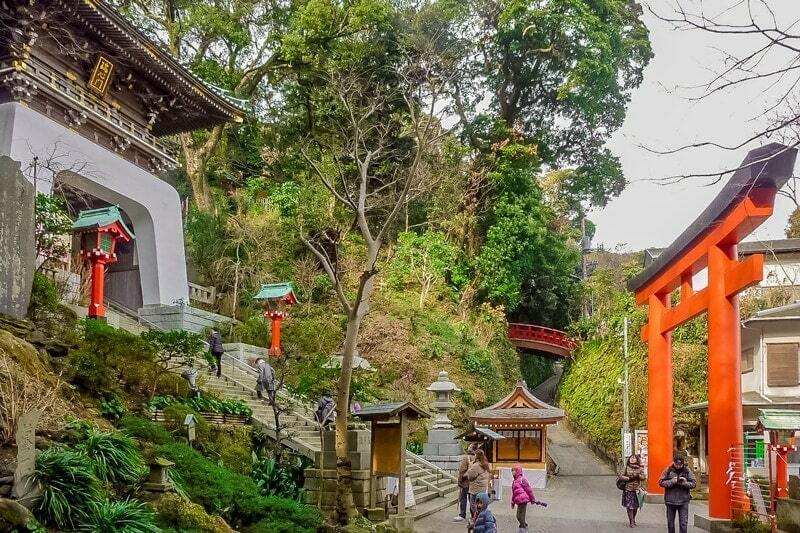 The region is popular for hiking and its scenery all year round but it’s most popular tourist highlight is the UNESCO World Heritage area which includes the stunning Tosho-gu shrine dating back to 1617. In addition to the shrine don’t miss the Shinkyo bridge dating back to 1636 and Kanmangafuchi Abyss formed by an explosion from nearby Mount Nantai with it’s many Jizo statues located opposite the botanic garden. You can get to Nikko using the JR Pass if you have one but the most efficient way is using the local Tobu Railway that runs from Asakusa in Tokyo and takes just under 2 hours. Once in Nikko you can explore the central area on foot or take local buses between destinations. If you are thinking of heading to Tochigi prefecture for a day (or longer) we have a detailed guide to Nikko on the site that includes everything you need to help you plan your trip. Mount Nokogiri, also known as Sawtooth Mountain is in Chiba prefecture can be reached in around 2 hours by train from Tokyo. 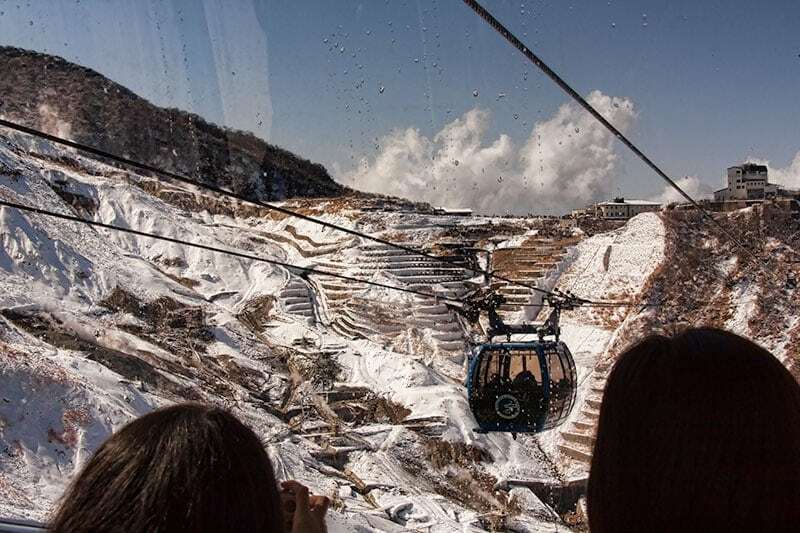 You can hike the mountain or take the ropeway up to the top station. Even if you do use the ropeway both ways you’ll find you have done plenty of walking up and down the mountain by the end of the day. There are 2 giant Buddhas here, Kannon the Boddhisatva of compassion was carved in 1966 but the Ishidaibutsu was carved in 1783 and is twice the size of the giant Buddha in Kamakura. There are 1500 much smaller Arhat statues too, Arhat represent Buddhas disciples or people who have gained enlightenment. You might notice a number of beheaded statues, this isn’t vandalism, at least not modern damage anyway, it was done as part of an anti-Buddhist demonstration after the Meiji Restoration in the mid to late 1800’s and has been retained as part of the history of the area rather than repairing them. There are plenty of lookouts and a glass walled restaurant so try to pick a clear day to make the most of the views gained climbing all the steps. 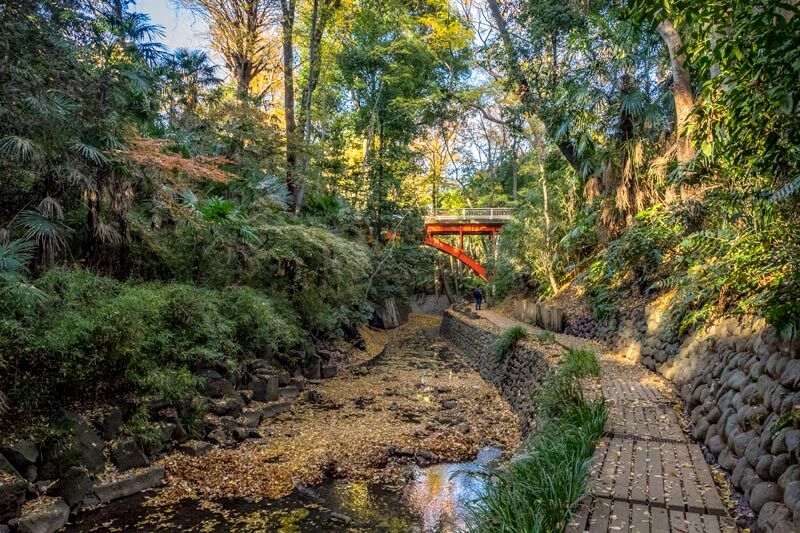 Todoroki gorge doesn’t involve leaving Tokyo, it’s only a 15 minute train trip from Shibuya but you’ll feel like you’re a world away from the city. This is the only gorge that remains in Tokyo and provides a cool walk in nature in the shade of tall trees and palms alongside the river. 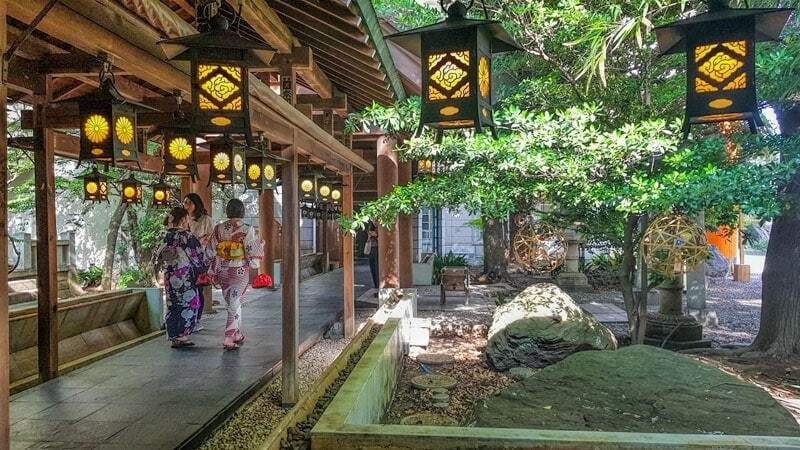 Along the way you’ll pass temples, shrines and ancient burial tombs, you’ll pass a traditional tearoom and find an enchanting Japanese garden built into the hillside that is open to wander through. While it can get busy on the weekends, we visited mid week and other than a few locals taking a leisurely stroll, purposefully going about their daily commute or filling water bottles from the traditional style bore pump it was very quiet emphasising the sounds of birdsong and rustling autumn leaves. Read more: All you need to know to plan your visit to Todoroki Gorge. Mount Takao is a fabulous day trip from Tokyo without even leaving the prefecture. We’ve written about our fabulous day here during the autumn colours and highly recommend it whether you are looking for an active day of hiking or a more leisurely approach using the cable car and chair lifts and relaxing in the natural thermal onsen at the end of the day. There are multiple spots to enjoy the views of nature back out to Tokyo city, a sprawling historical temple, restaurant, shrine and more. There are 8 trails to walk so you could actually spend several days out here if you wanted to but it really is beautiful and if you are very lucky there are still wild monkeys to be seen in the forest. Kyoto as a side trip from Tokyo isn’t one I’d recommend for everyone but if you have an strong interest in Japans history and culture and not enough time in your itinerary to add a longer stay in Kyoto then it can be an option. The bullet train reaches Kyoto in around 2.5 hours, if you are prepared to head off early and come back after dinner you can fit in a full day exploring the city and some of the cities unique cuisine but be aware that it will be a very full day. I’d suggest you spend some time identifying what it is you really want to experience while you are there and build your day around your top priorities. Those may depend on the season and on your personal interests, some attractions open early in the day or into the evening, some may even be quieter at those times helping you fit a bit more into the hours available. Kyoto is a city of 1600 temples and even more Shinto shrines, they are such an intergal part of the city and it’s culture that a visit really isn’t complete without experiencing at least a couple. Then there’s the Imperial history associate with Nijo castle and the Imperial Palace, the food and history experience of Nishiki market, the elusive culture of the geisha districts, the impressive gardens and parks, and the traditional arts culture. To get an idea of some of the options on offer in Kyoto to get your planning underway you may want to take a look at some of our Kyoto posts, we’ll have a full guide up shortly and to stretch the budget we do cover the top free things to do in the city. Kawagoe was established as a merchant town during the Edo Period when the capital of Japan moved from Kyoto to Tokyo. The history of Kawagoe has been well preserved making it a great place to visit to experience that heritage and culture only 30 minutes out of Tokyo. The easiest way to get here is with Tobu Railways ‘Kawagoe discount pass’ which includes the return train trip from Ikebukuro, buses in the town and other discounts with local vendors. We have a detailed guide to Kawagoe on the site but a few of the things not to miss are the Edo style merchant warehouses, the bell tower in the centre of town, the traditional artisans in penny candy land and Hikawa Shrine. Kinugawa onsen is in Tochigi prefecture just over 2 hours by train from Tokyo or around 30 minutes from the heritage temples and shrines of Nikko. A visit here is a very different experience though, the focus is on nature, relaxation and adventure. 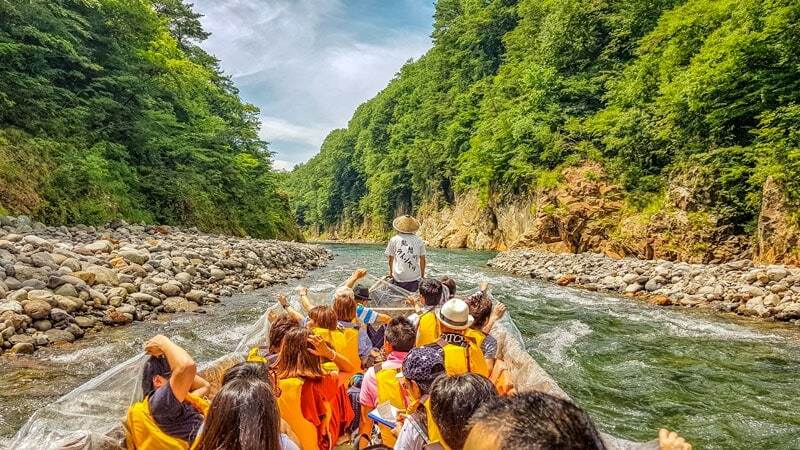 Taking this traditional boat down the Kinugawa valley had some great scenery and the cascades added some fun and splashes although we really didn’t get wet. The area is surrounded by beautiful nature with some good walk around but the main reason tourists come to the area are the onsen, there are two hot spring sources, one on either side of the river and several places that day visitors can experience the relaxation of Japanese onsen here. We’ve included some options for day use onsen, trip planning tips and more information on things to do in Kinugawa Onsen in the linked article. 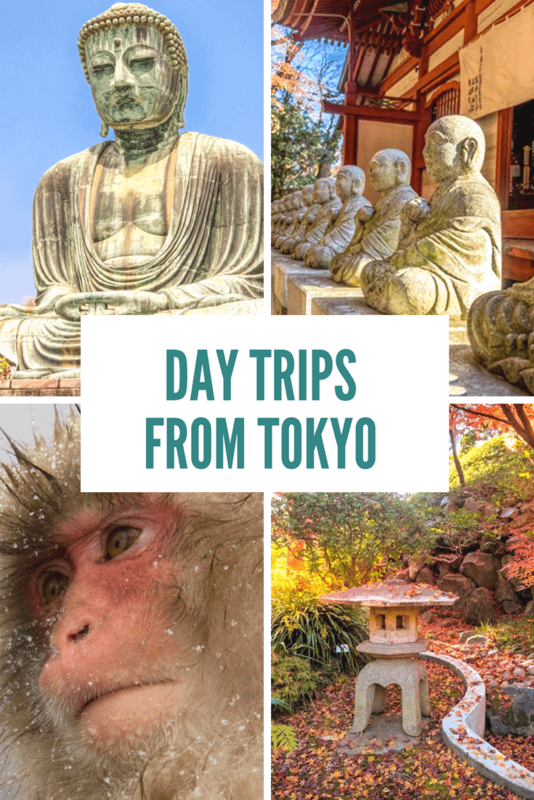 We hope some of our top day trip from Tokyo suggestions have helped you with planning your next visit or inspired you with some some of the variety and options available. We take a number of side trips on our travels as we prefer to choose a few accommodation bases rather than moving more often with our luggage. To ensure we see as much as possible we put together our own tours, get started early and don’t mind travelling back to the our base after dinner to maximise the experience. That’s just our travel style and what works well for us, we find we lose valuable time exploring when we’re checking in and out and orientating ourselves to a new base too often. Of course all of these options are suited to a multi-day stay if you prefer to travel that way and have more time available. If you have any questions please ask in the comments section below and follow the links in the article to more detailed articles on each destination site . Have you already taken a day trip from Tokyo? We’d love to hear your experience and recommendations too. Just the post I needed for my trip to Japan in May. Definitely want to see Mt Fuji and the snow monkeys would be great if they are out in late spring. We’re headed back in May too. There are monkeys in the area all year round but the scenery will look very different in late spring, enjoy! Firstly, congratulations on a great website with extremely informative and helpful articles. I have collected many tips for our upcoming trip. Now, we will be in Japan for 15 days and plan on a week in Kyoto and a week in Tokyo. When in Tokyo we would like to go to the Tateyama Kurobe Alpine Route. Would you suggest an organised tour or is it possible to do this independently. We will have a JR Pass. Any assistance or suggestions you can give will be appreciated. Thanks Robert. I’m sure there will be one-day tour options but you can do it independently and make use good use of your JR Pass, either way will be a very long day as you have identified but quite possible, what month do you want to do it? Use your JR Pass as far as Nagano on the shinkansen then the Tateyama Kurobe Option Ticket (one way) to Toyama. You can get the shinkansen back to Tokyo from Toyama making use of the JR Pass again. You can reserve your bullet train seats for the next morning and buy the route ticket the day before at Tokyo station so you are ready for an early start. We plan on being in Tokyo the last week of April (yes, lots of Public Holidays). It will be beautiful up there then, have fun. Hi ! We are planning an 11 day trip in May. We are flying in and out of Tokyo. We are also planning to go to Kyoto and maybe Takayama. Can you tell me your “ not to be missed” places from these areas. You have lots of day trips from Kyoto and Tokyo but if you could only do a few , what would they be ? Thanks ! Narrowing it down depends so much on the season and personal interests. In May the sakura will be over but the gardens should be green again and many other flowers in bloom including the pink moss and wisteria. If staying in Takayama I wouldn’t miss a trip out to Shirakawa Village. 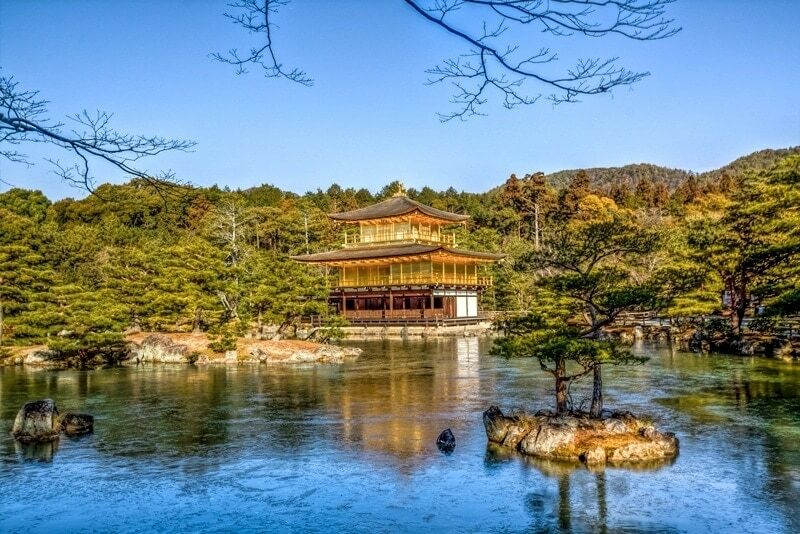 Hello, great tips…we will be staying in Kyoto most of our 15 day trip, at the Granvia (great suggestion!). DO you have a recommendation for a tokyo hotel? Hi Ismene, because Tokyo is so spread out I normally pick by whether there is anywhere specifically I want to be, close to useful subway lines and good restaurants in easy walking distance. The Tokyo Park Hotel was good last year and the Hotel New Otani we have used a few times and like. Both are Airport Limousine Bus pick up and drop off hotels which can be convenient. Hi there! This site has been so valuable for planning our upcoming trip to Japan in late April. Whilst I’ve done some solo overseas travel, my Bf hasn’t, so I was thinking of booking a few day tours from Tokyo, but I can’t make the dates line up with what we have free. If we do it by ourselves, are there any restrictions on weekends with things like train schedules/park openings etc? Looking at Mt Fuji and Nagano, is it possible to do full days at these places on a weekend? Thanks! Train schedules may differ slightly in the weekends but there are still plenty of trains available for those destinations, you can find specific routes and timings using the Hyperdia website. Some areas such as Mt Fuji have seasonal restrictions during the winter season but access to the 5th station should be open in late April. You will likely still see snow around if you go up there so be prepared with appropriate clothing. Which places and parks are you planning to visit, we might have more information but I can’t think of much across Japan that we have found unavailable on weekends so you should be fine. Some places may be a little busier with locals out and about but we’ve mostly noticed this when a festival or event falls on the weekend or places are seasonal like popular cherry blossom or autumn leaf spots. Hi, Im going to Tokyo in May 2019 with my 11 year old son. Which of the trips do you think will suit us best? He likes gaming, drawing, parkour and music. We will have a hectic 12 days in Tokyo and we would also like to do a day trip to a perhaps more peaceful place. I wouldn’t say any of the day trips we usually recommend out of Tokyo are directly related to his interests but if he’s into parkour I’m guessing he’s fairly fit and active so maybe you’d enjoy some of the trips that involve a bit of hiking like Mt Takao or Mt Nokogiri. We will also be back in Tokyo late January 2019. This time we have decided to go visit Tokyo Disneyland even though we have been to the one in LA. 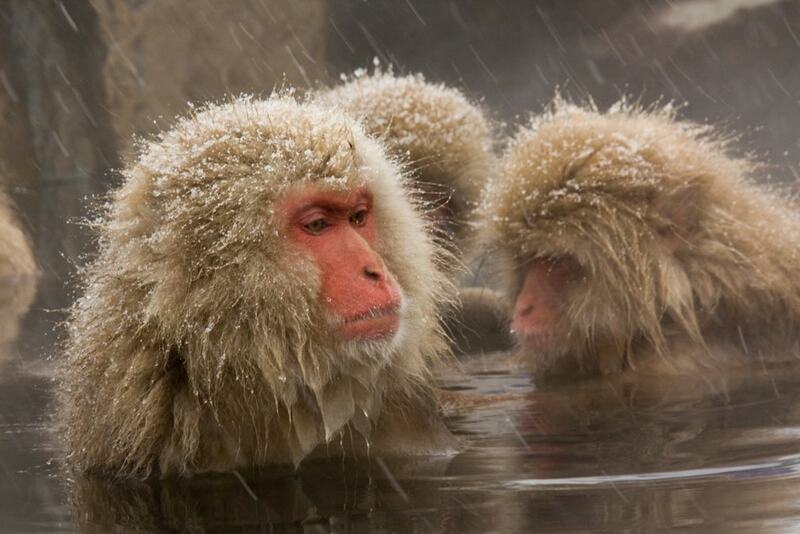 However we will also be spending more time in Nagano in Nozawa Onsen and definitely need to see snow monkeys. What could you suggest for day trip from Tokyo ….I have two 18yr olds, one 19yr old and two 21yr olds with me this time. 🤪 we will do the usual ie Shibuya, Meiji shrine etc…but would like to explore a bit out of Tokyo. Went to Kyoto last trip also. Thanks and as always I love reading your posts. We are planning a trip to Japan, staying in Tokyo, Kyoto, Hakone, Hiroshima and Osaka. We do not have time for a side trip to Nagano. Where else on our trip could we see monkeys? Hi Michelle, there is the possibility, usually quite small of seeing wild monkeys (macaque) when hiking in many places in Japan including Miyajima in Hiroshima, Nikko and Mt Takao in Tokyo, however you won’t frequently see them near the trails. There are a couple of ‘monkey parks’ in areas you are going including up on Mt Takao (Tokyo) and Arashiyama (Kyoto) however they are run commercially and are a very different experience. We don’t recommend these parks based on our personal views on animal welfare but if you’re considering it I’d suggest doing a bit of research online first to see if they are something you want to support. Nagano and the monkeys would be at the top of my list. I believe my wife visited when she spent time in Japan. But this is a world famous, iconic trip that cannot be missed. I hear you on stepping away from the big city. I can take about a week of fast paced, urban living before needing to pull back a wee bit. Fabulous post Toni. Thanks Ryan. We plan to be back in Japan in early 2019 for the winter season, I have a feeling the Jigokudani Park and snow monkeys will make the list again but staying in Nagano prefecture for a while this time.